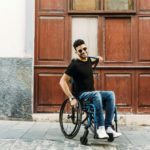 Why Is Having A Comfortable Wheelchair So Important? Comfort sounds like a luxurious word. We think of comfort as something that is desirable, but optional. But when it comes to your wheelchair, comfort is more of a necessity. A comfortable wheelchair is one that you will enjoy using. It will encourage you to be more active, and it will keep your body positioned in a healthy manner. Let’s start by talking about comfortable positioning. When you get fitted for a chair, it is important that all the measurements are right. The seat width is very important. If a wheelchair seat is too narrow, it will hurt your hips and press them against the sides of the chair. It can pinch your skin or cause skin breakdown. And it makes transferring more difficult if it’s difficult to wedge yourself in and pry yourself out of your chair. If a wheelchair seat is too wide, you will slip and slump around, causing you to have bad posture. Bad posture can lead to things like back pain, pressure ulcers, and compression of the lungs and internal organs. A comfortable wheelchair seat is almost exactly as wide as you, with just a little room left for growth and access to the seat belt. The seat length is important, too. If a seat is too short, your knees will be hanging off the edge, unsupported. If it is too long, your back will not reach the back of the wheelchair, and your spine will be unsupported. A comfortable wheelchair seat length supports your knees as well as your back, keeping you in a healthy posture. A well-adjusted footplate makes a difference, too. Your feet need to be stable on the footrest. If your feet fall off, they can get twisted or injured by passing objects or even in your own wheels. And a footplate that is the wrong height will either cause your legs to dangle or your knees to raise up and wobble around. Either one of these positions can be uncomfortable or can cause stress on your joints. 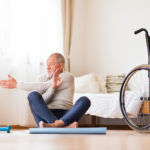 Making sure you have comfortable wheelchair positioning in about more than just luxury, it’s about maintaining good health. 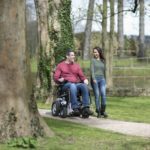 If your wheelchair is fitted properly, and you are comfortable using it, you will be more active. Someone who has an ill-fitting wheelchair may tire out quickly when using it. It is harder to push an ill-fitting wheelchair because your body is not positioned optimally. The more comfortable your wheelchair, the more likely it is you will be able to drive it with ease. A more comfortable wheelchair will also have good cushions and seating, which also leads to more activity. If you develop pressure ulcers on your bottom, you are likely to be assigned bedrest until they heal. It can take weeks or even months for a pressure ulcer to heal. During that time you will be limited in activity, which is also not good for your health. 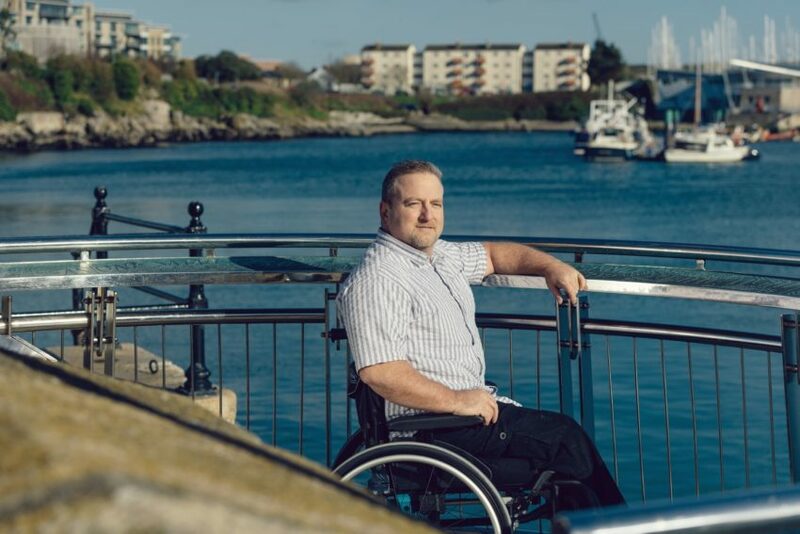 When your wheelchair is comfortable, you will just be more inclined to go out in it. Not having to worry about any discomfort will allow you to stay out and about. You can shop, do sports activities, work, or visit with friends for as long as you want. And staying active like that is good for both your physical and mental health. As you can see, making sure you have a comfortable wheelchair is about more than just preference and luxury. Your wheelchair is an extension of your body. You have to make sure it serves you well and doesn’t do anything that could work against your health directly or indirectly. A well fitting chair is key. 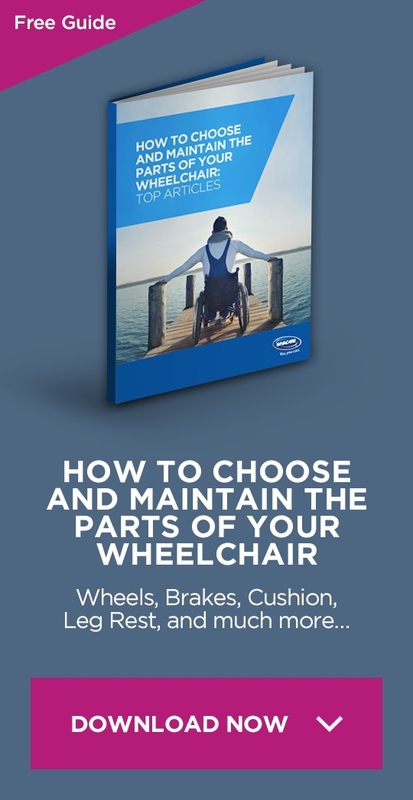 So it is important that when you make your wheelchair selection that you take charge of your choices to ensure you get the best, most comfortable fit.